We designed our Texas Notice to Vacate form with independent rental owners in mind. Our Notice to Vacate generator instantaneously delivers to you a sleek, intimidating Notice to Vacate on our firm’s letterhead. In addition to receiving a Texas Notice to Vacate form personally addressed to your tenant, you also get a detailed set of instructions on how to deliver your Notice to Vacate. Warning: Texas law requires you to use a 3 Day Notice to Vacate unless you and your tenant have a written lease agreement that permits you to use a 24 Hour Notice to Vacate. All TAA leases and Texas Realtor’s Association leases permit 24 Hour Notices to Vacate. But if you have a different type of lease, you need to review the section of your lease that discusses the tenant’s default. Should your lease not mention a 24 hour notice to vacate, Texas law requires you to use a 3 Day Notice to Vacate. Why Use a Girling Law Notice to Vacate Forms? Think about your Notices to Vacate from your tenant’s perspective. Your misbehaving tenant comes home, closes his door, and finds yet another corporate form letter with handwritten entries from your apartment community’s management office. Or perhaps you’re an independent rental owner and you give your tenant a handwritten or typed letter demanding that the tenant leave the property. In either case, your document reads “Notice to Vacate” across the top of a dull, plain-Jane piece of photocopy paper. Your tenant shrugs, balls up your letter, throws it towards the trash can, and misses. He’s received three similar letters in the past. He knows the routine…. Notice to Vacate forms present numerous opportunities for a Judge to dismiss your eviction lawsuit. Our Texas Notice to Vacate form generator produces a Notice to Vacate that meets all of the content requirements under Texas law. Also, they protect you from unwittingly violating various other laws. They even provide instructions on how to properly deliver your Notice to Vacate. Wording on your Texas Notice to Vacate form is extremely important. Your Notice to Vacate can create problems during an eviction trial if you do not word the notice correctly. 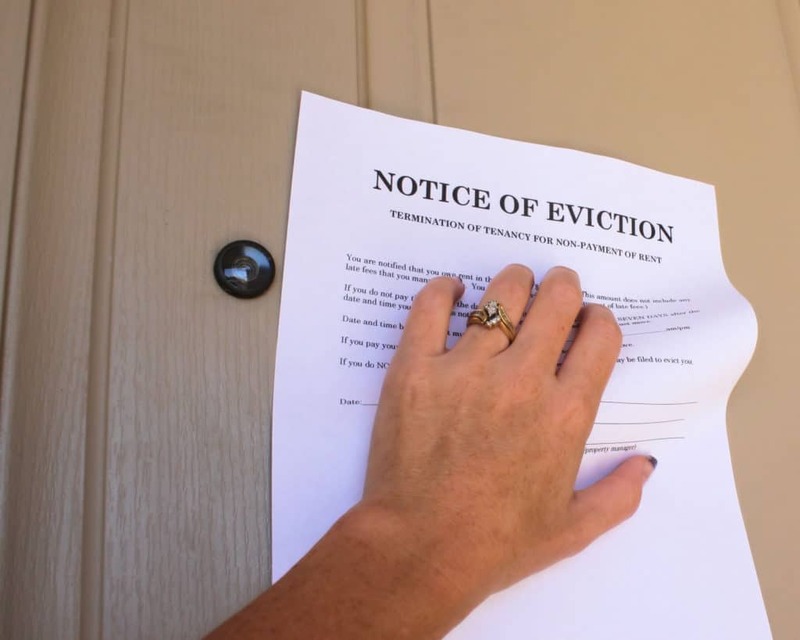 On the other hand, if your Notice to Vacate contains too much information you could end up restricting your options later on in the eviction process. Ensuring compliance with various collections laws can be another issue. Notice to Vacate forms are a debt collection activity under Texas consumer protection laws. So you should always include something lawyers refer to as the “mini-Miranda” language in the notice. What happens if your tenant files bankruptcy between the time you send your Notice to Vacate and the time your tenant receives it? Your Notice to Vacate should include language that ensures you do not violate an automatic bankruptcy stay. If your tenant is a member of the armed services, your Notice to Vacate needs to have special language. This is true even if your tenant recently joined the military and neglected to tell you!! And then there is the delivery process. Texas law is very specific about how you must deliver a Notice to Vacate. Delivering a Notice to Vacate incorrectly can result in the Judge dismissing your case. Failing to properly delivery the Notice to Vacate is the most frequent reason Texas Justices of the Peace dismiss landlords’ eviction lawsuits. The delivery instructions included with your Notice to Vacate, if followed, will greatly reduce or eliminate the risk associated with delivering your Notice to Vacate. First you will fill out a simple online form, providing us details about you, your rental property, and your tenant. Our system will use this information to construct your Notice to Vacate. You will then receive an email containing a PDF of your Notice to Vacate on Girling Law’s letterhead and two pages of detailed instructions covering three different delivery methods permitted under Texas law. You choose the delivery method that best works for your situation. Once your tenant receives the Texas Notice to Vacate form, your tenant may elect to call our toll free office number. Should your tenant call this number, they will receive a voice message explaining that you, as the landlord, are under no obligation to enter into a settlement agreement or otherwise agree to allow the tenant to remain living in the property. The message also instructs the tenant to call the landlord or the landlord’s representative if the tenant would like to determine if the landlord might be interested in agreeing to settlement terms. By purchasing a Notice to Vacate from Girling Law, you are in no way hiring us as your attorney (although we would welcome the opportunity to represent you!). You don’t even create an attorney-client relationship with us when you purchase one of our Notices to Vacate. You are simply leveraging the gravity and intimidation factor of Notice to Vacate forms displayed on our firm’s letterhead.